Picture by Gerardo on Flickr. 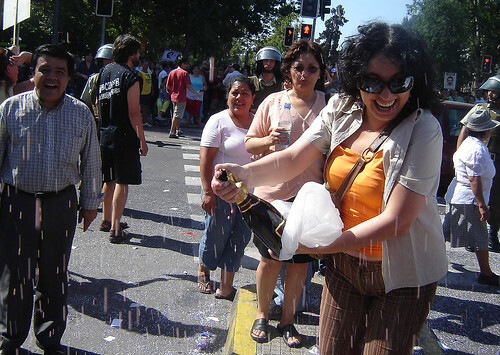 Chileans celebrate in the capital Santiago. Only a pity this monster never faced justice before the end. Let's remember those Tories like Thatcher who lined up to defend him. Human rights means nothing to these people. They would put you and I in a death camp in the blink of an eye if it suited their purpose.